LOGAN, Utah – Stacy Collins will remain on the Utah State football staff as the special teams coordinator and running backs coach, it was announced Monday by newly appointed head coach Gary Andersen. Overall, Collins has 21 years of coaching experience, including 14 years as a coordinator and four years as a head coach at the collegiate level. Collins has spent the past three seasons with Utah State, serving as the inside linebackers coach (2017-18) and special teams coordinator (2016). Collins helped Utah State to one of its most successful seasons in school history in 2018 as the Aggies went 11-2 and tied the school record for wins (11) and home wins (6), while being nationally ranked for six-straight weeks for the first time in school history. USU won its fifth bowl game in school history this season with a 52-13 victory against North Texas in the New Mexico Bowl. USU also set a school record by winning 10 straight games in 2018 and tied for first place in the Mountain Division of the Mountain West with a 7-1 mark. During the 2018 season, Collins helped coach an Aggie defense that currently leads the nation in turnovers forced (32), interceptions (22) and three-and-outs forced per game (5.58), while ranking third nationally with six defensive touchdowns. As Utah State’s inside linebackers coach in 2018, Collins mentored sophomore David Woodward, who Pro Football Focus named the Mountain West’s Defensive Player of the Year and a first-team All-American, while The Associated Press named him a third-team All-American. Woodward finished the 2018 season leading the Mountain West and ranking 10th in the nation in tackles with 134 (11.2 per game), while adding 5.0 sacks, 12.5 tackles for loss, two forced fumbles and two interceptions. During the 2017 season, Collins helped coach a Utah State defense that allowed just 182.5 passing yards per game to rank 19th nationally. Furthermore, USU ranked sixth in the nation with 29 forced turnovers, including tying for second nationally with its 16 forced fumbles, and ranked fourth in the nation with five defensive touchdowns. Collins also mentored linebacker Suli Tamaivena, who earned third-team all-Mountain West honors from Phil Steele’s Magazine, as he led the team with 111 tackles. In 2016, Collins coached a pair of kickers who performed at a high level in senior Brock Warren and sophomore Aaron Dalton. Warren was 9-of-12 on field goal attempts and that .750 percentage is tied for 10th all-time in school history. Dalton punted 62 times during the year as 19 of his punts were downed inside the 20-yard line and 25 of his punts were fair caught. Overall, Dalton had eight punts of 50-plus yards, including a long of 56. Furthermore, USU ranked third in the Mountain West and 38th nationally in kickoff return defense in 2016, allowing just 19.47 yards per return. 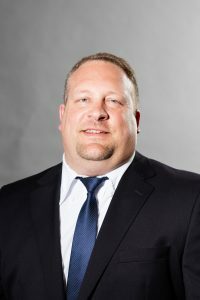 Collins came to Utah State after spending four seasons as the head coach and special teams coordinator at Division II South Dakota School of Mines. As head coach at South Dakota School of Mines from 2012-15, Collins led the Hardrockers to winning seasons in 2013 and 2015, the last being just their third in the past 30 years. During his four years at SDSM, Collins notched 16 victories to become the sixth-winningest coach in program history. Under Collins’ direction in 2014, South Dakota School of Mines set single-season school records with 5,282 total yards, 3,540 passing yards and 286 first downs and led all of college football in red zone efficiency. SDSM also set single-game school records with 674 total yards vs. William Jewell, 481 passing yards vs. Northwestern and 34 first downs vs. Southwest Baptist. Furthermore, SDSM set the single-season school record for points scored with 386 during the 2013 campaign. As members of the Great Northwest Athletic Conference in 2014 and 2015, South Dakota School of Mines had 14 all-conference honorees under Collins, highlighted by quarterback Trent McKinney, who twice earned first-team honors and was named the conference’s Newcomer of the Year in 2014. Collins also mentored a pair of record-setting kickers at South Dakota School of Mines in Devon Jones and Kolten Jelden. Along with all the success South Dakota School of Mines had on the field under Collins, the Hardrockers were just as successful in the classroom as seven players earned GNAC All-Academic Honors in 2015. Prior to his head coaching stint at South Dakota School of Mines, Collins served as the assistant head coach and special teams coordinator at Portland State in 2011, where he coached placekicker Zach Brown, who was named a first-team All-American by The Associated Press, the Walter Camp Foundation, the American Football Coaches Association and the Sports Network. Along with Brown, Collins also coached punter Thomas Duyndam to honorable mention all-Big Sky Conference honors in 2011. Prior to Portland State, Collins spent three seasons (2008-10) at Central Washington as the special teams coordinator and linebackers/defensive line coach. At CWU, Collins coached an All-American and two-time first-team all-GNAC kicker in Garrett Rolsma, as well as first-team all-conference kick returners Courtney Smith (2008) and Jerome Williams (2009). Collins has also had coaching stops at Southern Oregon in 2007 (defensive coordinator), Idaho State from 2005-06 (linebackers coach), Western Washington from 2003-04 (linebackers coach), South Dakota School of Mines in 2002 (defensive/special teams coordinator) and Western Oregon from 1998-2001 (special teams coordinator and linebackers coach). In addition, he spent time in Europe on the coaching staff of the Vienna Vikings (Austria), a European League football team, as the defensive coordinator and interim head coach from 1999-2001. While the special teams coordinator at Western Washington in 2004, Collins coached punter Mike Koenen, who went on to play for 10 seasons in the NFL with the Atlanta Falcons and Tampa Bay Buccaneers. Collins played college football at Western Oregon from 1993-97 as a linebacker, graduating with a bachelor’s degree in physical education in 1998 and then a master’s degree in education in 2001. Collins, a native of Sutherlin, Ore., and his wife, Mandi, have four daughters, Kayla, Mackenzie, Kylee and Mackenna.